Embroidered Large Home Blessing Wall Decoration - Turquoise CAT# WSB - 8T. 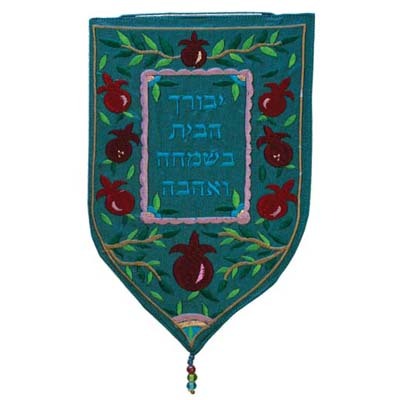 Embroidered Home Blessing Wall Decoration. Size: 7” X 10”.